When shopping the other day I bought a variety of vegetables. One of my favorites is the artichoke! It has the highest level of anti-oxidants out of all the vegetables and loaded with fiber, vitamins and minerals! 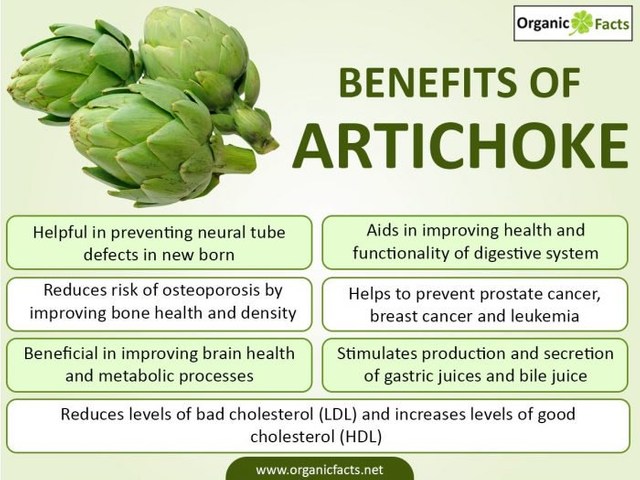 Artichokes help protect against cancer, bolster the immune system, lower cholesterol, lower blood pressure, protect against diabetes, atherosclerosis, heart attack and stroke. They detoxify the body and aid in digestive issues. In addition, they increase bone mineral density, boost metabolism and improve brain function. They are low in saturated fat, and cholesterol. Artichokes contain vitamin C, thiamin, riboflavin, niacin, folate, vitamins B6, B12, A, E, D and K. They provide minerals such as calcium, iron, zinc, sodium, potassium, manganese, phosphorus and zinc. After trimming the leaves, put the artichokes in a big pot with water. Sprinkle a little olive oil on them. I added salt, pepper, parsley and garlic. Cook until the leaves are a dark green. 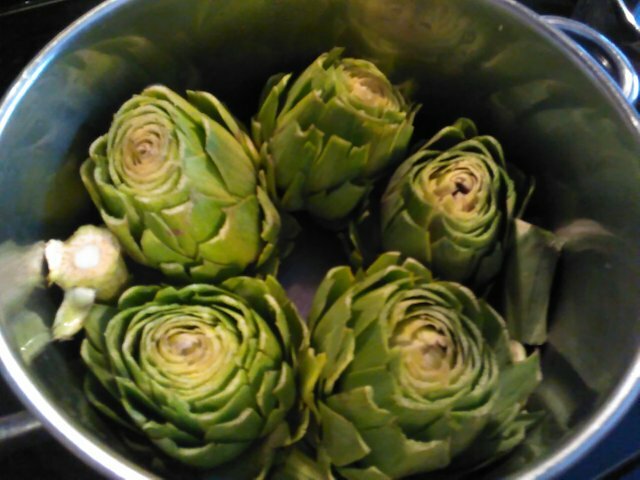 Stems can be cooked along with the artichoke! The stems and heart are good for you! The artichokes are ready to eat! They are so tasty and healthy! You can stuff them with breadcrumbs or have plain. Enjoy! This is motivating me to eat better in 2018. 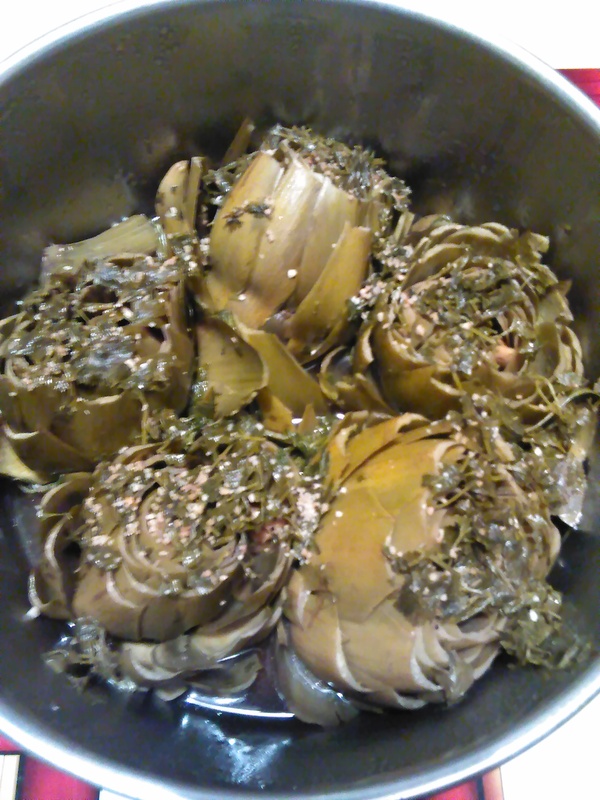 Does anyone have any good artichoke recipes they'd like to share?